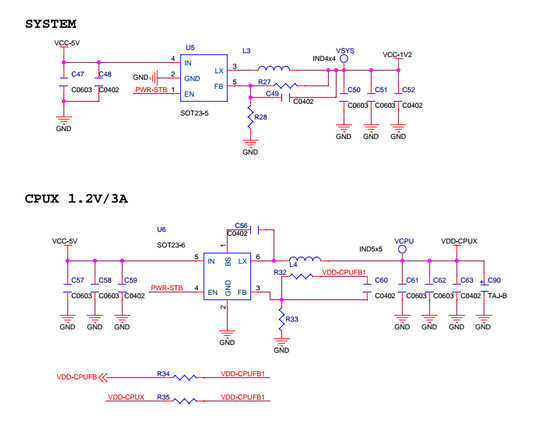 This article introduced how to adjust the VCC-CPUX voltage of the BPI-M2+ with replacing a register of power circuit. With any hardware change or component soldering. You will LOST all warranty of your Banana Pi! When I did something system image build and test tasks for the BPI-M2+ with Allwinner H3 before it on stock last year, I have received a Engineer Sample (ES) form SINOVOIP, the manufacturer of Banana Pi. The Banana Pi Community Forum have received a lot of reports of the too high VCC-CPUX voltage causing horrible heat issue from other developers. There is a easy to measure the VCC-CPUX voltage of your BPI-M2+. 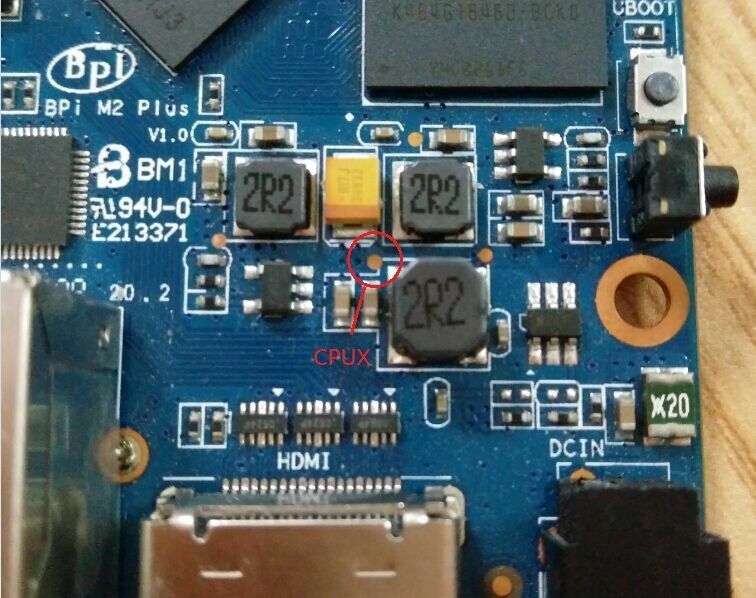 This picture shows the Test Point (TP: VCPU) of VCC-CPUX. Okay, the next step is replace the reference register in the feedback circuit of the voltage regulator. I have no 0402 register in my component library, so I use the 0805. (I’m sorry for that. This is the cpuinfo_cur_freq result of running cpuburn-a7 (https://github.com/ssvb/cpuburn-arm/raw/master/cpuburn-a7.S) and corekeeper.sh. The idle CPU temperature is about 15 degrees Celsius lower than work at 1.4 V.